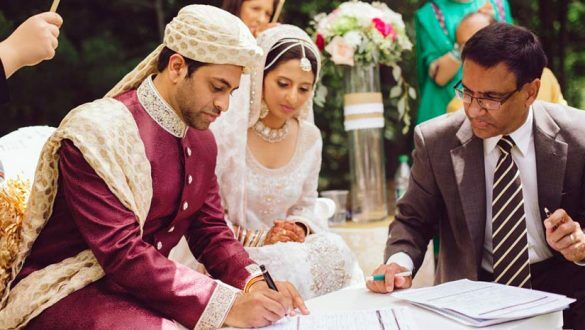 Muslim couple signing the marriage contract. Mahr is a token commitment of the husband’s responsibility and may be paid in cash, property or movable objects to the bride herself. The amount of mahr is not legally specified, however, moderation according to the existing social norm is recommended. The mahr may be paid immediately to the bride at the time of marriage, or deferred to a later date, or a combination of both. The deferred mahr however, falls due in case of death or divorce. 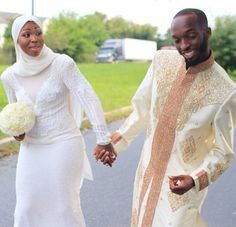 One matrimonial party expresses ‘ijab” willing consent to enter into marriage and the other party expresses ‘qubul” acceptance of the responsibility in the assembly of marriage ceremony. The contract is written and signed by the bride and the groom and their two respective witnesses. This written marriage contract (“Aqd-Nikah) is then announced publicly. 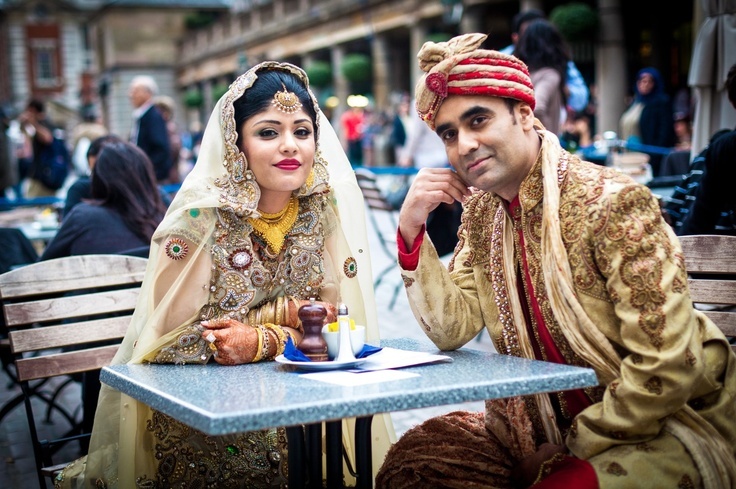 A Bangladeshi Muslim couple in London, UK, wearing traditional Islamic outfits. Man wearing a red and gold colored hat and woman wearing beautiful jewelry. 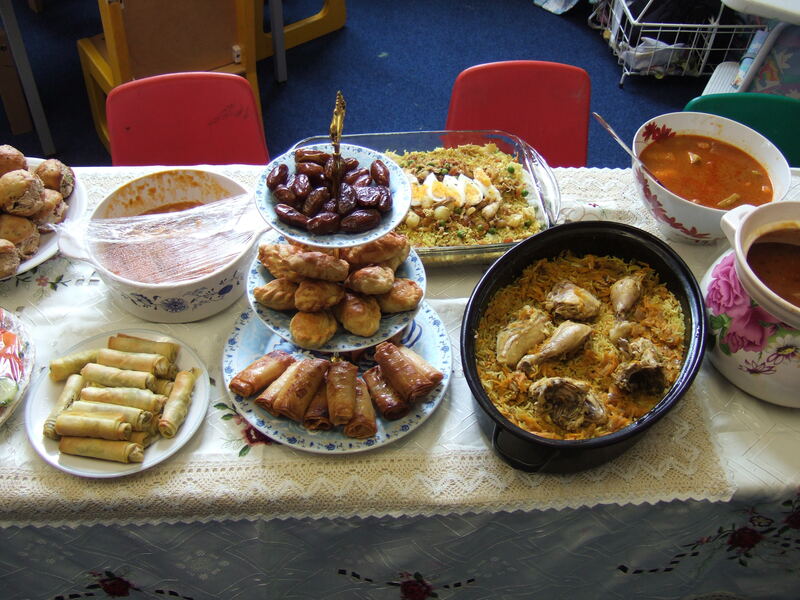 Traditional foods set out for an Islamic walima.